In this tutorial, you will know all about Aadhaar enabled dise and ssa Gujarat online Attendance. From this year, data collection from all schools in the state for Unified District Information System for Education (U-DISE) will have many added features. The most important being the addition of Aadhaar card number of students along with other data. Zilla Parishads across the state have started the procedure to collect Aadhaar numbers of students to make an integrated Aadhaar enabled U-DISE. The aim of aadhar dise new entry website is to provide school-related statistical information on the implementation of Sarva Shiksha Abhiyan in India. 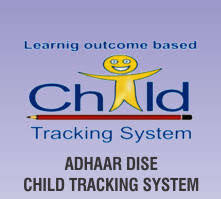 Aadhar dise enable child tracking. Along with Aadhaar card number, we are also taking other details of students such as scholarship and family information. We are also asking for students’ entire school details. Once we get all details along with the Aadhaar card numbers, tracking the progress of children will become easier. Once these details are filled, a child-specific ID is created that can be used whenever information is required,” said Nandkumar Theurkar, computer programmer, Pune Zilla Parishad. This will also help in making the aadhar dise ap data more accurate as duplication is not possible. Even if a child leaves a school and joins another, we will have a record of him or her despite change of cities. This will also tell us whether the benefits have actually reached the students,” he said. Aadhaar-enabled DISE project is a visionary project and will take at least two years to be completed, said officials. Government have launches ssa gujarat aadhar dise update as a data monitor of Teacher and student Attendance in Aadhar Enable Dise. As now Aadhaar Enable dise will store for attendance online. #1. Visit Aadhaar enabled dise portal and login with your Username and Password. #2. Now click on your will see your school dash board. #3. Click on attendance tab on left of Aadhaar enabled dise portal. #4. Then click on student attendance vew button. #5. After that choose your class and section. #6. Then all the names will appear. Now click on save button to upload data on Aadhaar enabled dise. #4. Select date on Aadhaar dise and click on go button. Check that school principal has come to the dashboard of all teacher in school. #5. Then you have to select the relevant option like present, absent, on-leave or on-duty. #6. All the teachers have default present.